DuPont, AGC Chemicals Polytetrafluoroethylene (PTFE) is commonly known by the brand name Teflon. It is a synthetic fluoropolymer most noted for its anti-stick, water-repelling, chemical resistant and temperature resistant properties. Due to its exceptional properties, Teflon is suited for the most demanding environments in commercial, industrial, and aerospace applications. The carbon-fluorine bond that dominates the molecular structure makes Teflon resistant to the most aggressive chemicals, including hydrofluoric acid. Teflon also exhibits very high dielectric strength combined with a high melting point (327 C) and flexibility at low temperature (as low as -79 C). Teflon is available in many shapes and colors. It is most abundant in sheet, tube, and rod shapes. The most common colors are white and black. Teflon is usually chemically pure, meaning no plasticizers or fillers are added. 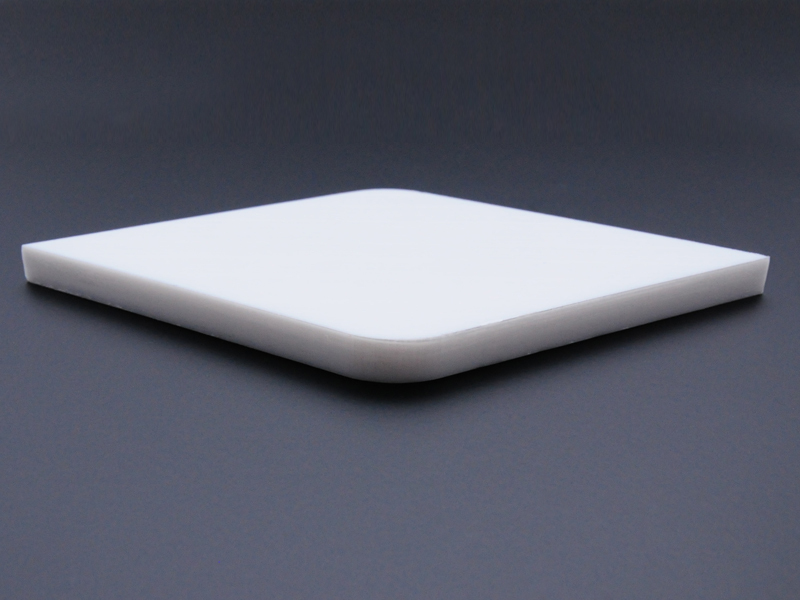 The materials properties of Teflon, such as high melting temperature and absence of cross-linking, make it highly compatible with DLMP (Digital Laser Material Processing) technology which utilizes laser energy to modify the shape or appearance of a material. The effects of the laser energy interaction with Teflon are material ablation and material modification. In the case of Teflon, the processes of laser cutting, laser engraving and laser marking can be applied. 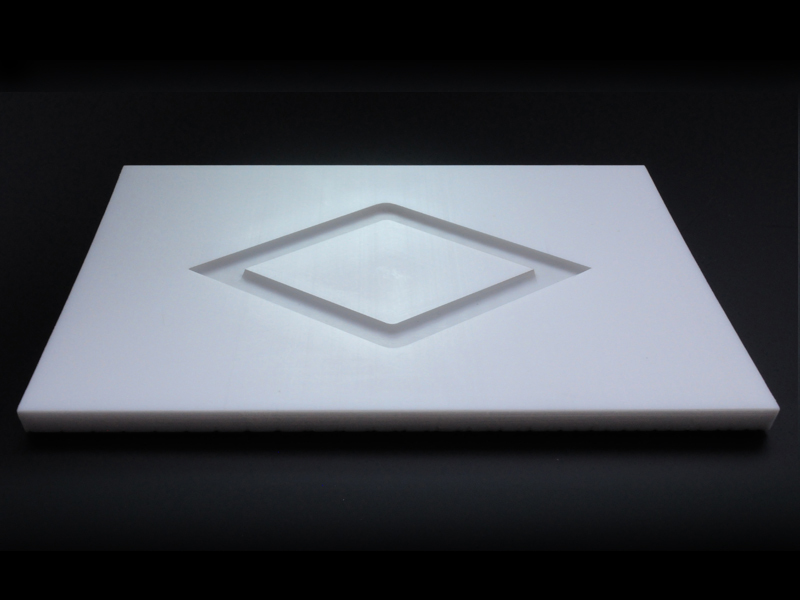 The laser energy can ablate material to cut, engrave or mark the material, or it can change the surface properties to create a visible mark. Teflon is an excellent absorber of CO2 laser energy (wavelength=10.6). When Teflon absorbs laser energy, it rapidly converts optical energy into molecular vibrations (heat). With sufficient heat, Teflon undergoes scission, where the bonds between repeating units are broken cleanly, without significant degradation of the base unit. Material directly in the laser path is cleanly ablated away into vapor and a fine Teflon powder. For these reasons, CO2 lasers are commonly employed for laser ablation of Teflon. The material just outside of the lasers spot or path will conduct some heat, but not enough for complete and thorough ablation. This area of thermal affect is often referred to as the heat affected zone or HAZ. In the case of Teflon, virtually no HAZ is created because Teflon possesses a high melting temperature; adjacent surfaces can withstand conducted heat without melting or boiling. Heat effects can be minimized by selecting an appropriate laser power for a given thickness of material. Laser cutting is the complete removal and separation of material from the top surface to the bottom surface along a designated path. Due to its high melt temperature, and inherent purity, Teflon ablates cleanly from the bulk material. 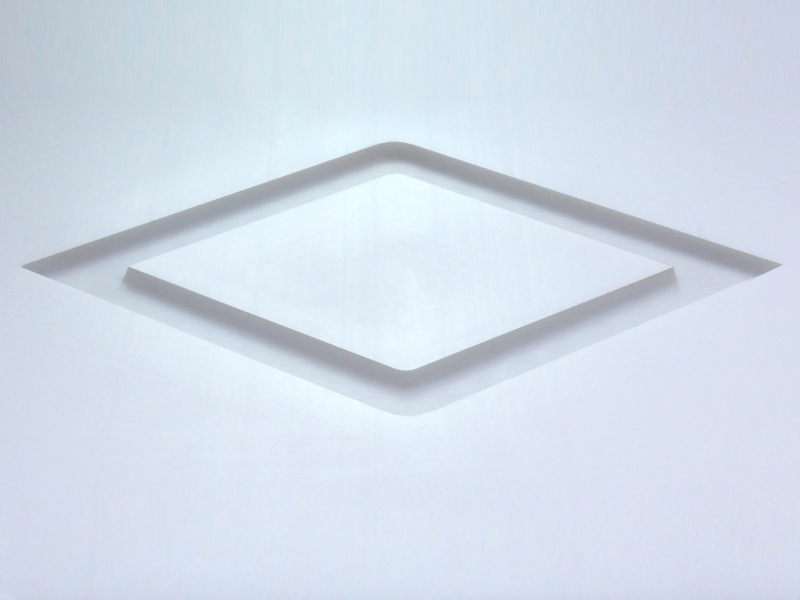 The edges that result from laser cutting Teflon are smooth and free from discoloration sometimes associated with thermal processes. 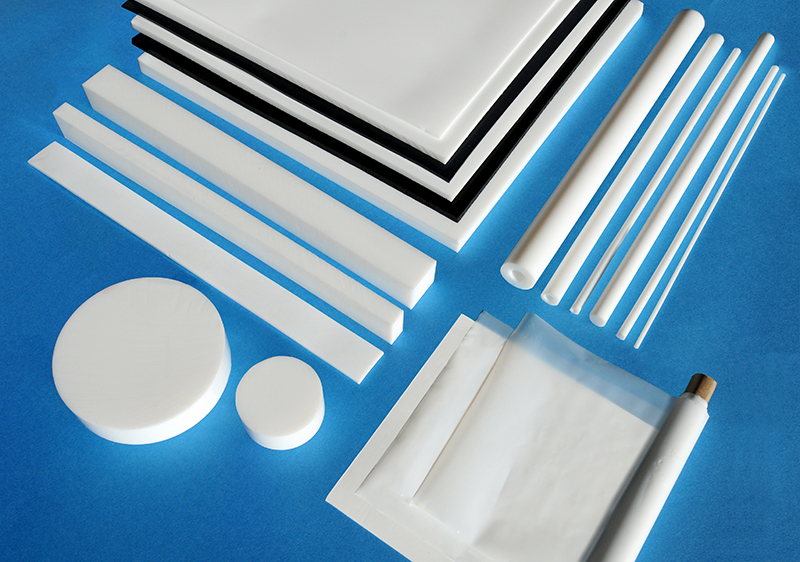 Laser cutting Teflon will produce a fine powder of PTFE particles, which is easily cleaned with a dry cloth. The capability shown can be extended to nearly any shape, even complex and closely-spaced cuts. Laser engraving is the process by which material is removed from the top surface down to a specified depth. This is possible due to tight control over laser modulation. 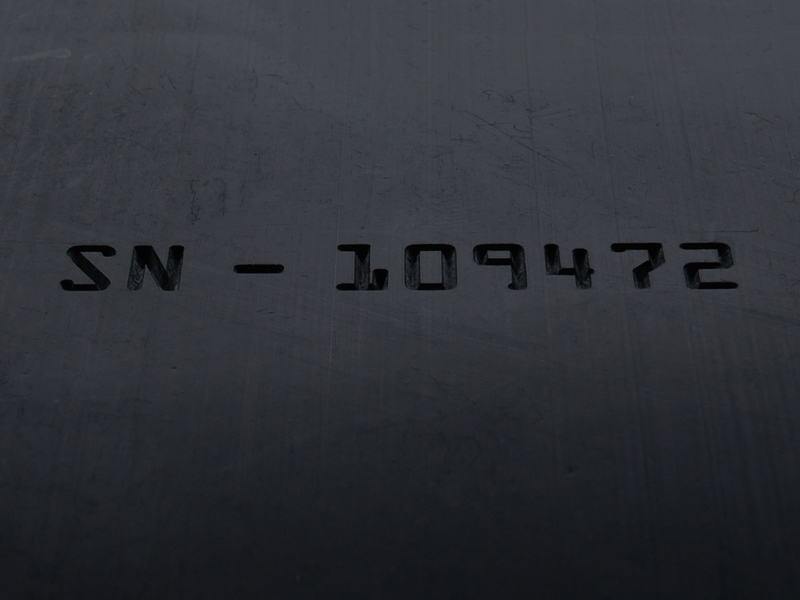 By continuously varying the laser energy, laser engraving can be used for textures, photographs and information, such as text and numbers. Teflon can be engraved cleanly without discoloration or melting. Again, this is due to its high melt temperature and purity. 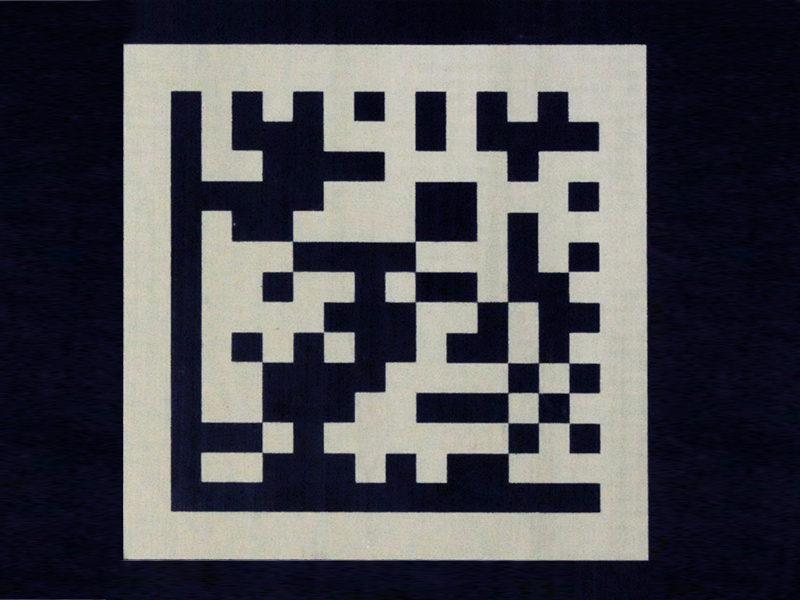 Both When the laser energy is used to produce a human- and/or machine-readable identification or information on a material, such as a barcode, date/lot code, serial number or part number, the process is considered laser marking with depth or laser depth marking, although it is essentially engraving into the material. Laser depth marking overcomes a long-standing challenge with Teflon. Using ink-based methods to identify Teflon parts always fails because the ink simply won't stick to the surface. DLMP technology creates permanent engravings without the hassle of handling messy inks. As discussed, Teflon absorbs 10.6 wavelength laser energy readily and ablates cleanly. However, the CO2 laser is ineffective at creating contrast. Fiber lasers operating at 1.06 wavelength are also ineffective at creating contrast on pure white Teflon. In fact, Teflon is often used as a light diffuser at this wavelength. There is a method, however, of producing contrast on black Teflon. 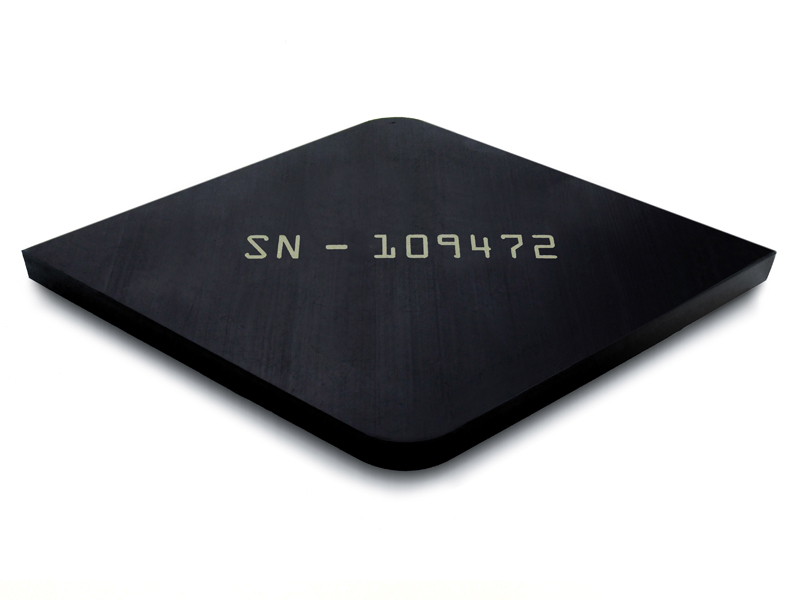 The carbon black pigment used to create black Teflon absorbs fiber laser energy very well. This energy is converted into heat, which is conducted by the polymer matrix. When properly controlled, the polymer will begin to boil, creating more surface area. The additional surfaces refract, resulting in a high contrast, off-white mark on black Teflon. This process, sometimes referred to as bleaching or foaming, leaves no residue or powder, and the marked areas retain the properties of Teflon. 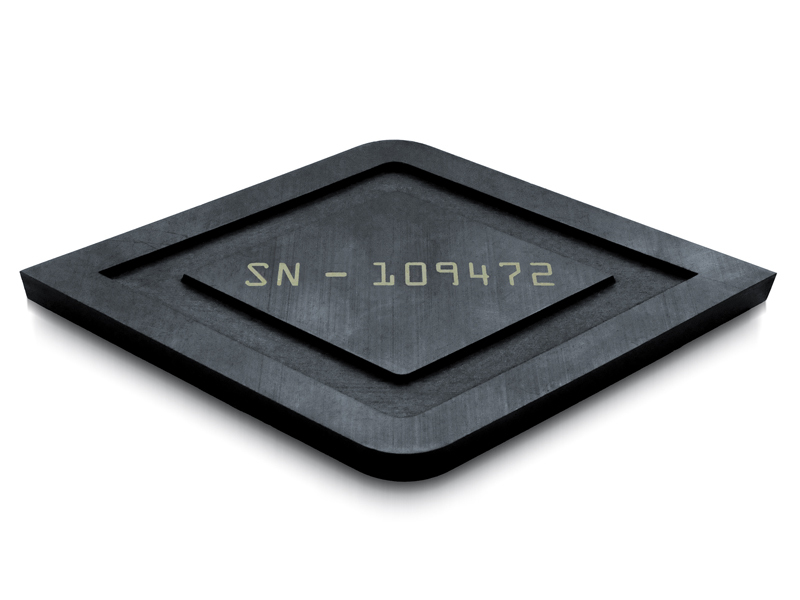 Black Teflon can be marked with a fiber laser to convey information, such as numbers, text, barcodes, and even photographs. The mark is permanent and exhibits high contrast, making it an attractive alternative to inking methods. 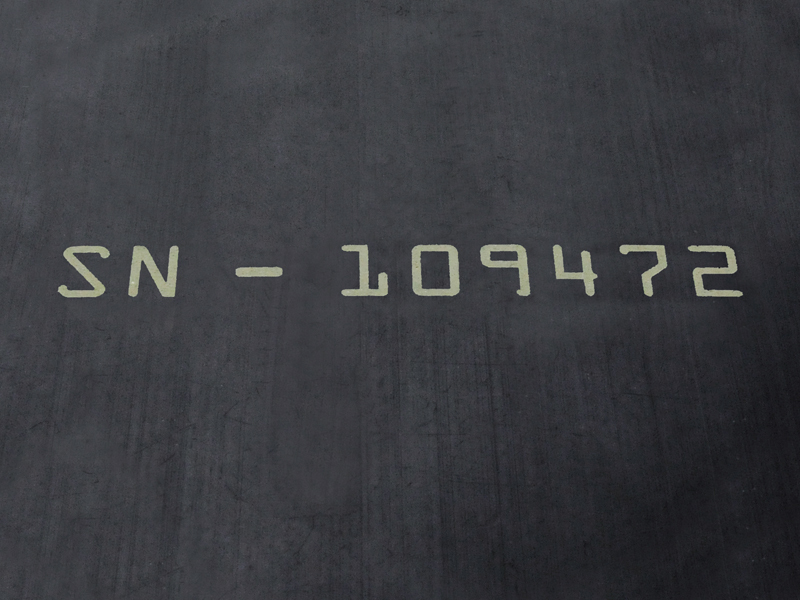 The example shows a serial number marked on the surface of black Teflon. 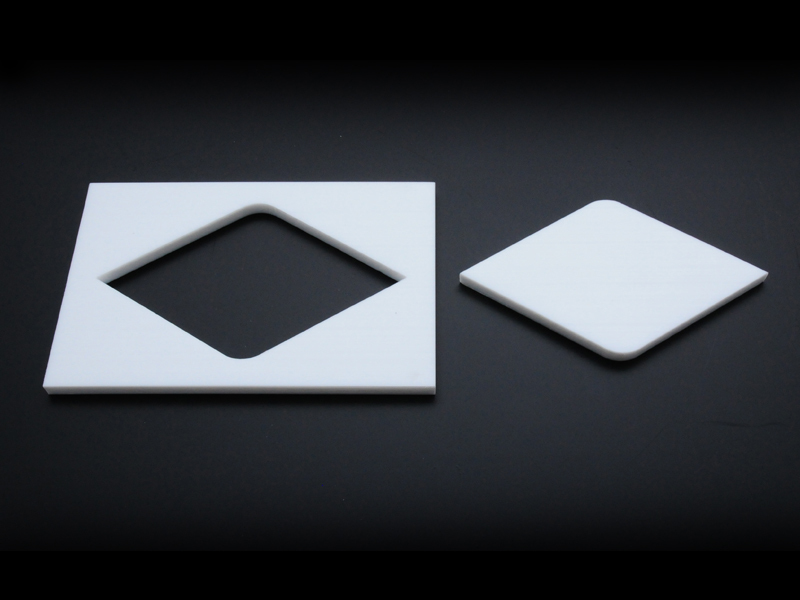 Multiple processes can be applied to Teflon without having to move or re-fixture the material. 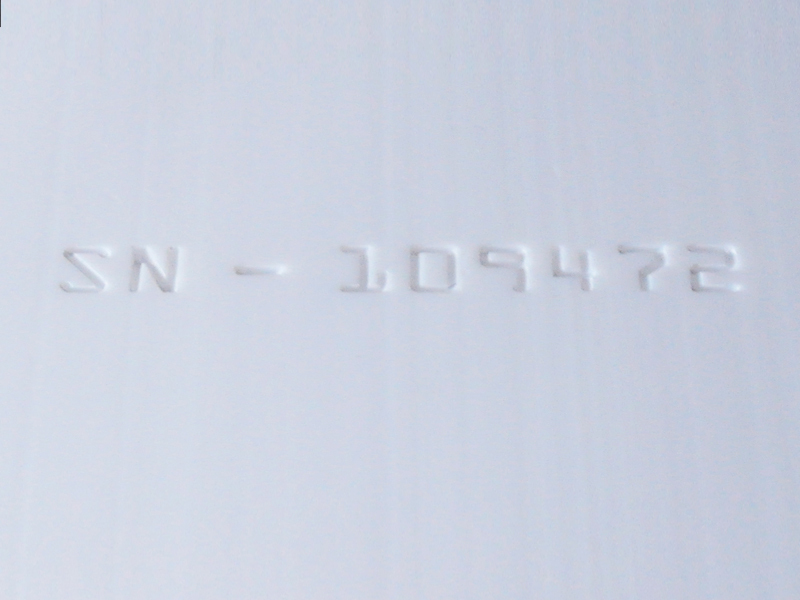 The example image demonstrates how processes can be combined to cut Teflon from sheet stock, engrave a diamond shape into the material and surface mark a serial number. Engraving and marking are always done before cutting in a combined process. Laser material interactions almost always create gaseous effluent and/or particulate. The primary decomposition mechanism of Teflon when using laser ablation processes is scission; smaller particles of Teflon are ablated from the material and deposited in a fine white powder. Gaseous phase effluent is also present and includes carbonyl fluoride, fluoroform, hexafluoropropylene, and tetrafluoropropylene. These gases and particulate should be routed to an exterior environment in accordance with government regulations. Alternatively, the effluent can be treated with a filtration system first and then routed to an exterior environment. Some materials have a propensity to generate flammable byproducts during laser processing. Therefore, laser processing should always be supervised.